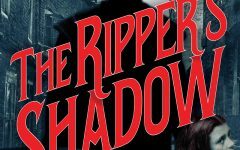 The first novel featuring cops’ reporter Gabriella Giovanni, Blessed Are The Dead, is nominated for both a Macavity and an Anthony Award. 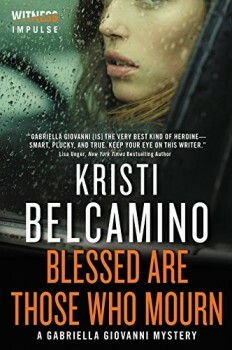 Now author Kristi Belcamino has brought Giovanni back for a fourth time in her latest release, BLESSED ARE THOSE WHO MOURN. Although she’s in a happy relationship with Detective Sean Donovan, one that has given them their beloved daughter, Grace, Giovanni can’t let go of her traumatic past. When a string of young co-eds start to show up dead with suspicious Biblical verses left on their bodies—the same verses that the man she suspects kidnapped and murdered her sister twenty years ago had sent to her—Giovanni fears the killer is trying to send her a message. It’s already a taut, fast-moving read. 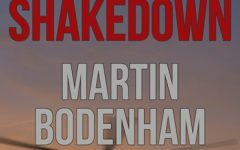 But when Grace’s life is threatened, the novel becomes a nerve-jangling hunt for her, with Giovanni increasingly terror-fueled in her desperate attempts to save her daughter. But as a newspaper reporter covering crime, Belcamino has spent time growing close to parents who have lost their children in the most horrendous ways imaginable. She alludes to the tragic case of Xiana Fairchild, a little girl who was kidnapped and murdered. Belcamino maintains a friendship with Xiana’s family to this day, and believes she lost a lot of objectivity writing those very difficult stories. And fairness is something that really matters to Belcamino, something that she sees being undermined with the insatiable appetite for immediate news. “In what I call ‘the good old days’ of newspaper you had at least until that night’s deadline to get your information correct. Now, an editor wants something online immediately. With that said, any real newspaper will make sure the information is correct and won’t ask a reporter to be unethical to get it up online first. While Belcamino’s first outing, Blessed are the Dead, was inspired and very loosely based on a story she covered, all her subsequent books have not been news items she personally covered, though they have been inspired by real life events. Kristi Belcamino is a writer, photographer, and Italian mama who also bakes a tasty biscotti. In her former life, as an award-winning crime reporter at newspapers in California, she flew over Big Sur in an FA-18 jet with the Blue Angels, raced a Dodge Viper at Laguna Seca, watched autopsies, and conversed with serial killers. 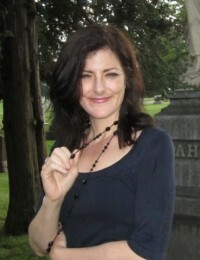 Her first novel, BLESSED ARE THE DEAD, was inspired by Belcamino’s dealings on her crime beat with a serial killer who police and FBI agents linked to the kidnapping and murders of little girls. To learn more about Kristi, please visit her website.